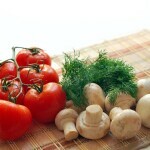 Welcome to Essentials of Nutrition: A Functional Approach! This book is written for students who are not majoring in nutrition, but want to learn about the fundamental aspects of nutrition and how it applies to their own lives. Welcome to Essentials of Nutrition: A Functional Approach! This course is developed for students who are not majoring in nutrition, but want to learn about the fundamental aspects of nutrition and how it applies to their own lives. We have written this course with the assumption that you have little or no prior knowledge of college level chemistry, biology, or physiology. But that does not mean it’s not scientific! Nutrition is a science-based discipline, so all the material included is backed up by rigorous scientific research, but it is presented in a clear, easy-to-understand fashion without requiring a background in science. People are increasingly interested in sustainable food issues. They are looking for favorable ways to impact not only their health, but also the environment and their local economy. However, misinformation about how one can make a positive impact abounds. By highlighting effective sustainable food behaviors, supported by science, this course will provide you with a significant resource for increasing the sustainable practices in your day-to-day life. This course is organized using a functional approach, which means that the material is organized around physiological functions, such as fluid and electrolyte balance, antioxidant function, bone health, energy and metabolism, and blood health, instead of organizing it strictly by nutrient. This makes the information easier to understand, retain, and apply to your own life. As this text explores the relationship between nutrition and physiology, you will receive a “behind the scenes” examination of health and disease in the body. Dr. Beth Snow earned a BS (Hons) in Biochemistry (with a minor in Drama) from McMaster University in 1999, an MS in Human Biology & Nutritional Sciences from the University of Guelph in 2000, and a PhD in Human Nutrition from the University of British Columbia in 2006. She also holds a Credentialed Evaluator designation from the Canadian Evaluation Society. Her PhD research focused on the effects of prenatal alcohol exposure on the developing fetal skeleton and she has published in the journals Bone, Alcohol, and Alcoholism: Clinical & Experimental Research. Following her PhD training, she spent two years working at the British Columbia Centre of Excellence for Women’s Health, where she ran an interdisciplinary research training program. She currently works as an Evaluation Specialist in Public Health in Vancouver, BC, Canada, where she also teaches at the University of British Columbia and the Justice Institute of British Columbia. Her teaching philosophy involves empowering students to take ownership of their own learning; she uses active learning techniques and encourages students to apply what they learn to real life. Being a lifelong learner herself, Beth is currently working on a Masters of Business Administration at the University of British Columbia, with the goal of combining knowledge about organizations with her health research expertise in order to help get research evidence into Public Health practice. In addition to her busy career, Beth is a true foodie who always makes time to cook and share good food and she enjoys hiking, running, yoga, and, being a Canadian, playing ice hockey.